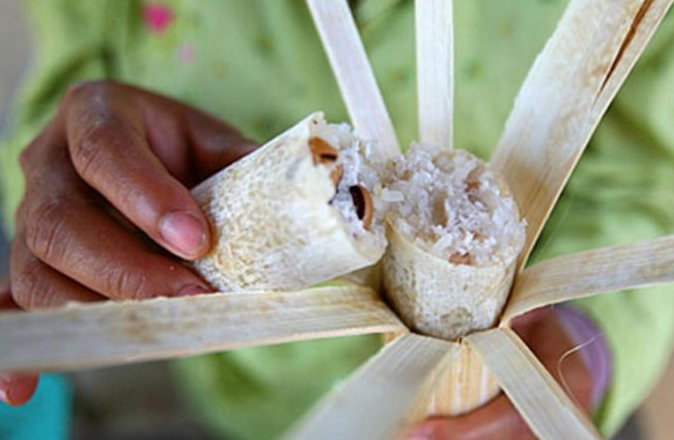 The sticky rice or Bamboo rice is a kind of popular food for people in SamroungKnong, No- rea and Takok village for years. 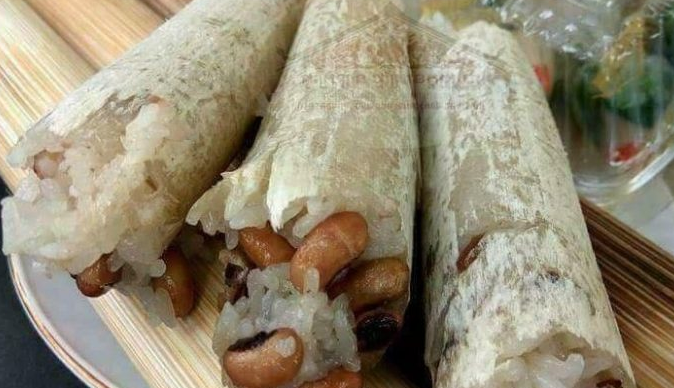 The ingredients of Sticky rice are sweet rice, black bean, coconut cream and other spicy put in the piece of bamboo and burn it . It costs from 1000riels. Samroang Knong people make sticky rice with ancient time method and their custom to join other people and visitors always learn how to burn and have it by owner work. 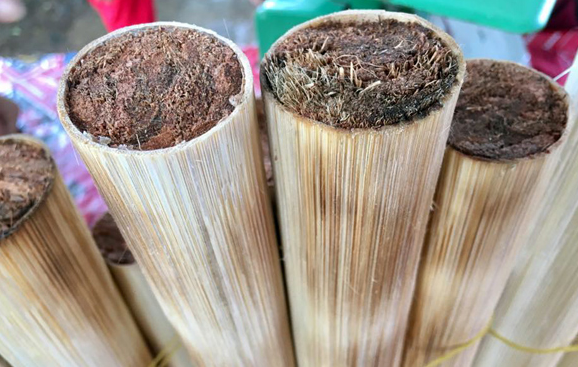 Kralean cake is a Khmer traditional cake which was made of sweet rice by putting it into the bamboo pipeline and closed by using coconut or banana leaf, and to be burned at outside part of the bamboo pipeline. Kralean word was originated from ethnic minorities named Cola, from Burma, who immigrated to live in Pailin province, Nowadays. 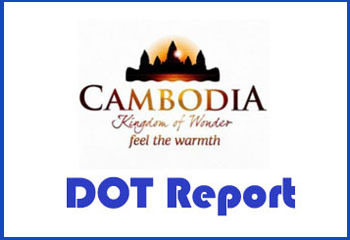 Cola ethnic minorities ate sweet rice as their daily food that was different to Cambodian people who used common rice as daily food. At past, Cola ethnic minorities made a living by exploring mineral (Gems, Gold, Diamond, Hunting and cutting forest) ete. When they entered into the forest, they needed no to bring with pot, carton, which made from clay because those things were heavy, fragile, and easy to be broken. 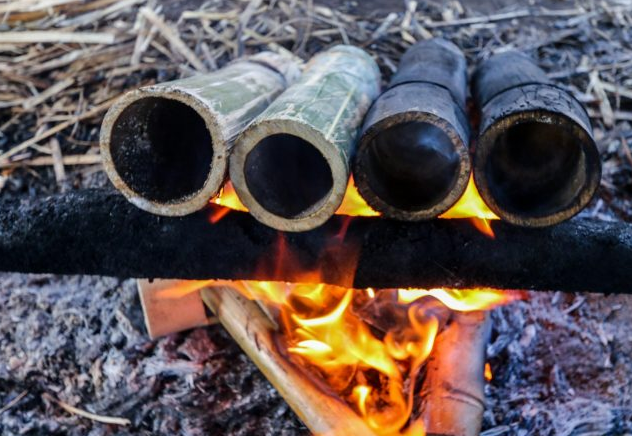 When they cooked food, they had found bamboo tree with large hole to cook by putting bamboo pipeline in portray and burn. 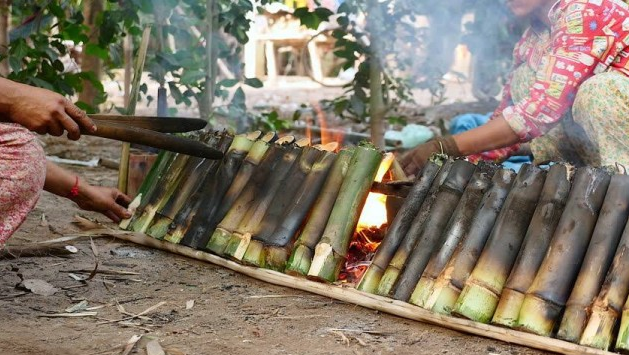 While Cambodian people, who went to cut forest with Cola ethnic minorities, found that sweet rice token to cook in bamboo pipeline was more delicious than cooking in common pot. When they backed from the forest, they advertised the way of cooking rice in bamboo pipeline to the villagers. Since then, Khmer people called this cake as Kralean, similar to the name of ethnic minority Cola. From day to day, ingredients of this cake have been changed up to date. 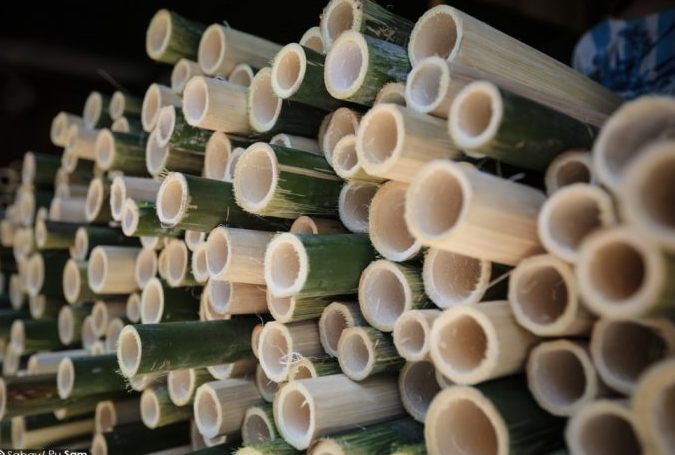 Its ingredients are: sweet rice, sugar, black bean, coconut cream and little salt, put in bamboo pipeline and covered by banana leaf and burn depending on the size of bamboo.